The single elevation of Kilimanjaro dominates the topography of northern Tanzania. Mount Kilimanjar of almost 6000 meters is the tallest freestanding mountain in the world. The huge massif of Mount Kilimanjaro consists of an area of 80 x 50 kilometers. These were the three former eruption centers.The center of the Kilimanjaro massif forms the Uhuru Peak. 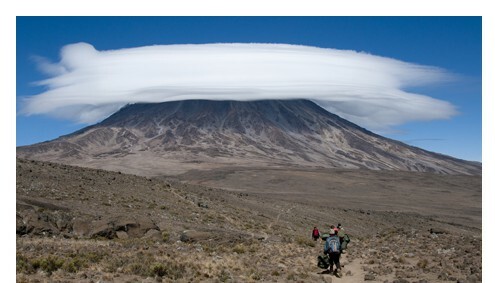 It is also called Kibo and is with 5895 meters the target of most climbers. To the east protude the jagged summits of Mawenzi (5149 meters) up. To the west you find the oldest eruptive center, the Shirakamm with an altitude of about 3962 meters. There are five different routes in the Kilimanjaro National Park. All routes lead through two different routes to Uhuru Peak summit .. The most famous routes are Marangu and Machame Route. 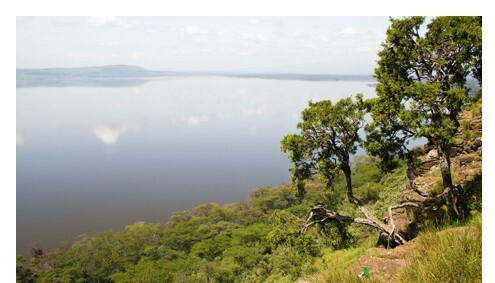 Scenic views are particularly Lemosho and Rongai Route. The Marangu route is the only route with hut accommodations. Due to the lower rainfall, the Rongai route of appearance differs in comparison to all other routes. The barren landscape and tranquility of the "wilderness route" have their own special charm. They exceed the Kilimanjaro and descend to the Marangu Route. We recommend for acclimatization an extra day on the Mawenzi Tarn Hut appeal. Duration: 8 Days Price: from 1.875 USD p.P. This tour is for those who like to experience the Kilimanjaro close and want to see the snowy peaks from different angles, without any intention to the strenuous climb in attack. On this tour will be a hike in the mountain village of Marangu, a safari in a private nature reserve, cultural encounters with the Maasai and a walking safari at West Kilimanjaro. The Lemosho Route offers great views of the landscape of Amboseli National Park and the green mountains of the Meru. The untouched nature changes its image every day. On the first day of Kilimanjaro ascent, the trail leads through dense rainforest. Already on the second day, the view of the Kibo is free. By way of the Shira Plateau, on the third day, the goal gets closer. Duration: 9 Days Price: from 2.165 USD p.P. 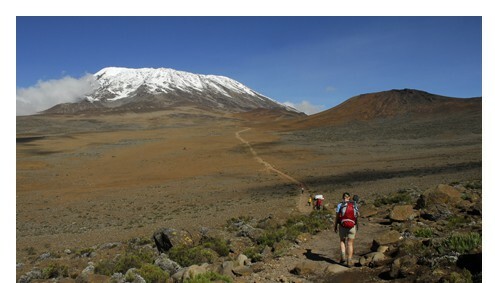 The Marangu Route, also known as Coca-Cola Route, is the most popular of Kilimanjaro. The trail network and the accommodations are basic; wind-protected mountain huts accent the trail. Nevertheless, the route is challenging and is not to be underestimated. 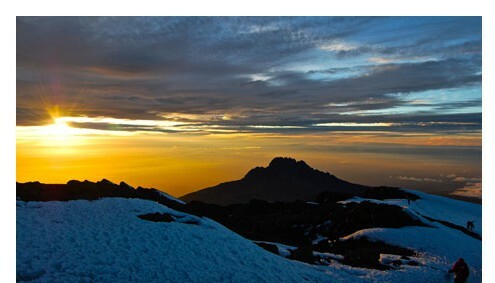 There is an easy hike uphill through rain forest with a spectacular view of the snow-covered peaks of Kibo and Mawenzi. Duration: 7 Days Price: from 1.525 USD p.P. The ascent of Kilimanjaro via the Machame route is a special experience, as it is scenically very varied and offers views both towards Ostkilimanjaro and the West. This route is rightly considered the most beautiful route on Kilimanjaro, however well attended during the high season. The height profile has a particularly good effect on the acclimatization. Duration: 9 Days Price: from 2.095 USD p.P. 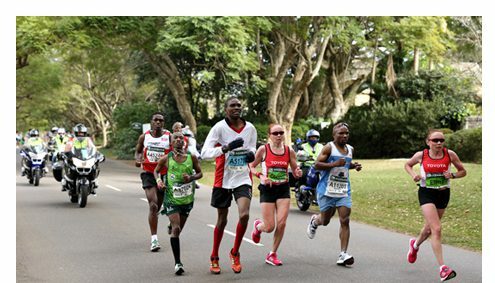 Once a year, there is the opportunity to participate in the spectacular Kilimanjaro Marathon. There is a very impressive view of the glaciers of Kilimanjaro, abundant nature with banana and coffee plantations and an extraordinary, joyful public. The special flair combines visitors, athletes, young and old on a positive wave of energy. Duration: 11 Days Price: 2.390 USD p.P. You can climb Mount Kilimanjaro all year around. However, we advise not to travel during the rainy season from April to May because of hard weather conditions. The best time and visibility for your climb is in January, February, September and October. In January and February, the routes or often more frequent than in other months. In the African winter from June to September, with temperatures between 15 ° C and 25 ° C and little rainfall, the conditions are also very good, just a little colder. If you value quiet paths and empty camps, you should choose the off shoulder season in June, the beginning of December or March. 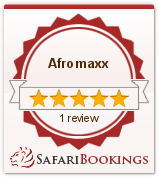 If you climb Mount Kilimanjaro you will be accompanied by our professional Afromaxx Team with at least one mountain guide, a cook and a support team. Depending on group size there are additional guides. Our Team will take care of you, cook for you, set up your tent and support you as much as possible. 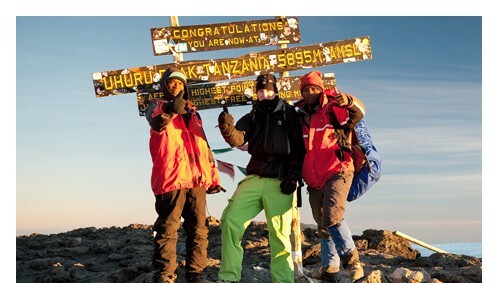 Each Mountain Guide carries an Mountain Guide License and many years of experience at Mount Kilimanjaro. He will be the key person to motivate you all the way to the summit. Together with the support team you can make it to the highest point of Africa. The Kilimanjaro is a popular destination for young and old, athletes and untrained, vary accordingly as the goals of each individual. For most the multi-day hike is a challenge and at the level of experience that few people can draw. Yet everyone wants to reach the summit of Kilimanjaro and for that you should be well prepared. If you do not currently exercise regularly, you should plan a minimum preparation period of 6 months. Go running, biking or walking at least two to three times a week. It is important to work out regularity and work on your endurance! During the weekend you can got longer hikes. This will prepare you for the real adventure. Practice uphill and downhill climb. Therefore, you should carry some weight in your backpack (books, drinks). Parallel to physical preparation, you should prepare yourself mentally for hard weather condition and exhaustion. The summit of Kilimanjaro will be within reach for you, if your motivation is right and you are ready to take on essential efforts.